I feel a great need and obligation to take the time to acknowledge three very special organizations in the Snoqualmie Valley. 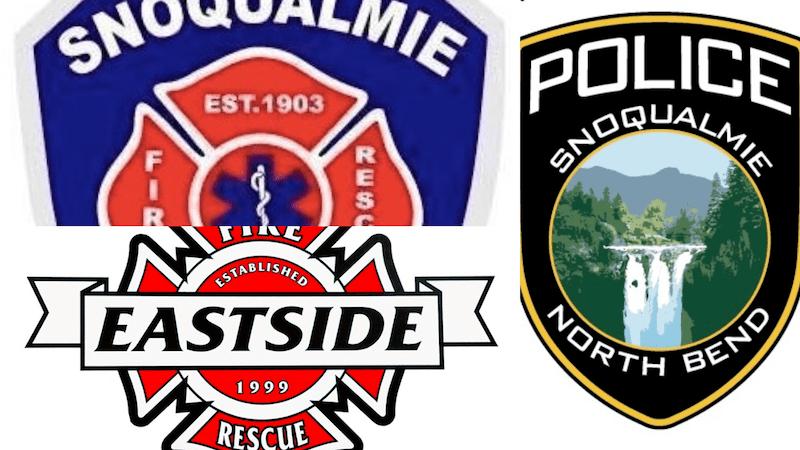 I would like to recognize all the officers and administration who constitute the Snoqualmie Police Department and all the firefighters and administration who are the Snoqualmie Fire Department & the Eastside Fire and Rescue Station 87 (North Bend). I’m a longtime valley resident. I grew up here in the beautiful Snoqualmie Valley; lived here, went to school here, worked here, and now I’m raising my son here as a single parent. We used to have our own place we called home. I worked a full-time job, my son was in daycare, and we were able to live comfortably. We were making it on our own and life was great for us. Not perfect, but great! Money coming in, money going out; like clockwork. Slowly, but surely all of those things were taken from us or lost within a matter of weeks, including my pride. Over the past two years I have struggled with homelessness and everything that goes along with it, including addiction (I celebrated 5 years clean this year on Thanksgiving!). Considering our needs and the location of the resources we utilized, I made North Bend and Snoqualmie my home, as best I could, while living out of my vehicle with my small child. I tried multiple times, but it was extremely difficult for me to hold down employment with numerous obstacles; including an unreliable vehicle, daycare challenges, health issues, and most importantly no stable housing. I went to local food banks, non-profit organizations, and churches who often sent us to somewhere else, which then seemed to dead-end most of the time. I often felt that I had nowhere and no one to turn to for help when I desperately need it, especially when bad got worse and worse felt like an emergency. At first, I was hesitant to ask for help from local law enforcement because of our circumstances, until I learned my rights and was assured they were on our side and wanted to help us. On several occasions these altruistic men and women stopped in to do welfare checks on my son and I just for peace of mind and to confirm that we were alright and didn’t need for anything. They have offered and brought us food, water, blankets, supplies, fuel, those cool sticker and tattoo badges and most importantly their time. We engaged in thoughtful and positive conversation. They would give me great advice, and just ask how our week has been; and they would always listen. My son and I had some unrelenting days. Like when we were just too sick to be in the presence of the public, when the weather was below freezing with no heat in our “home”, when our vehicle broke down and almost caught fire, and when I was having some serious health problems. The Snoqualmie Police Department, City of Snoqualmie Fire Department, and Eastside Fire & Rescue Station 87 not only did their job as they would normally, but also reached out during these extremely difficult times and they were able to get us under a safe roof (a local motel room) to recover and recoup for the night, sometimes longer. We are so grateful and forever in debt to these selfless heroes for everything that they strive to do on a daily basis to help, serve, and protect everyone in our community. They really went above and beyond for my boy and I and we would like to thank them publicly because they deserve to be accredited for all the hard work and compassion they put into their jobs every single day. While I’m not sure that we will ever be able to financially pay them back in full, I will make it a lifelong endeavor to pay it forward and keep helping people who are facing the same challenges. I truly believe that if it weren’t for their help, support, and kindness we wouldn’t have made it this far in the wait for permanent housing. While my two-year experience was definitely a humbling adventure, chalked full of trials and tribulations, I am glad it is over. I have learned so many tough things about life in general and grew from all those experiences and am now a stronger person because of it all. I have overcome and I’m ready for the next chapter in our lives. As my son and I get ready for the holidays, I try to hold back the tears with a huge smile knowing this will be the first time in 3 years I will be able to put up a tree, hang stockings, and celebrate Christmas in my home with music, a nice dinner, and lots of great memories. Thank you so much Snoqualmie Police Department, Snoqualmie Fire Department & the Eastside Fire and Rescue Station 87 (North Bend) for all you do. Thank you for just being the individuals you are. You guys and gals are truly amazing people, our community is lucky to have you. It is no wonder to us why you all chose the career you did and are all rocking it. I would like to wish you and your families all a nice and Happy Holiday, a very Merry Christmas, and a bright New Year! Thank you to all of our first responders. Without all of them we would be living in a much sadder place. Snoqualmie Valley has the finest responders in the state.